Solutions for accelerating and profiting from Innovation. Making the right decisions on the best new products is critical. At the same time, speed-to-market can make or break a new product introduction. Optimizing your New Product Development process will help you deliver the best new products in the shortest time-frame. Learn more about how our New Product Development Management solutions, tools and software can help your business. 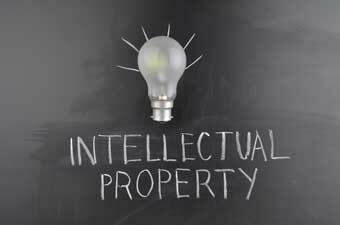 Your intellectual property process is critical to maintaining your competitive position. Our comprehensive, easy-to-use solutions facilitate faster throughput and accountability for your inventors, patent review team and legal staff while managing, organizing and safeguarding your intellectual property. Learn more about how our invention, patent review and intellectual property management solutions, tools and software can help your business. Whether it’s a new invention or a concept for a new product, it starts with an idea. Your ideas must be captured and managed, collaborated and acted on. That’s why our Innovation Management Software is built into our Invention, Patent Review, Intellectual Property and New Product Development Solutions. Learn more about how our Idea Management solutions, tools and software can help your intellectual property and new product development processes. Making the right decisions on the best new products is critical. At the same time, speed-to-market can make or break a new product introduction. Optimizing your Product Development process will help you deliver the best new products in the shortest time-frame. Learn more about how our New Product Development Management solutions, tools and software can help your business. Your intellectual property process is critical to maintaining your competitive position. Our comprehensive, easy-to-use software solutions facilitate faster throughput and accountability for your inventors, patent review team and legal staff while managing, organizing and safeguarding your intellectual property. Learn more about how our invention, patent review and intellectual property management solutions, tools and software can help your business. Whether it’s a new invention or a concept for a new product, it starts with an idea. Your ideas must be captured and managed, collaborated and acted on. That’s why our Innovation Management Software is built into our Intellectual Property and Product Development Solutions. Learn more about how our Idea Management solutions, tools and software can help your intellectual property and new product development processes.